All JEWELRY prices include shipping! 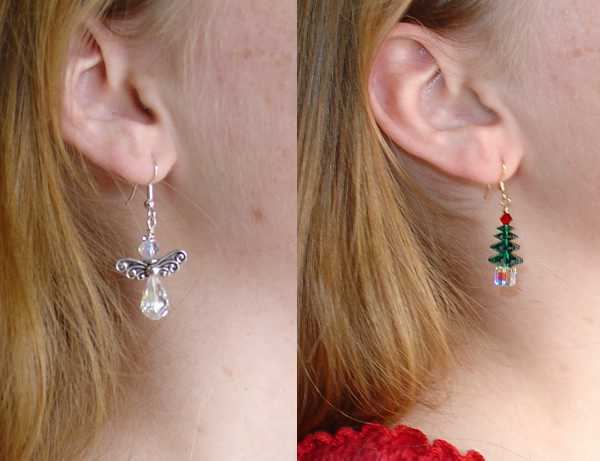 I made these earrings just for Christmas! They are fun, sparkly designs made with Czech glass beads and metal findings. CUTE! 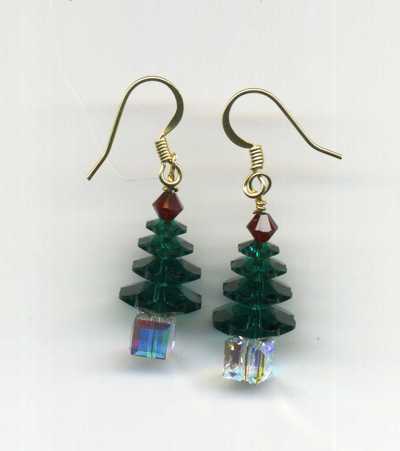 CHRISTMAS TREE EARRINGS are Swarowski crystal beads in green, red and AB crystal, with ear wires of gold plated surgical steel. The dangle is 1" from the base to the top of tree. It's hard to catch the sparkle of these earrings in a photo! 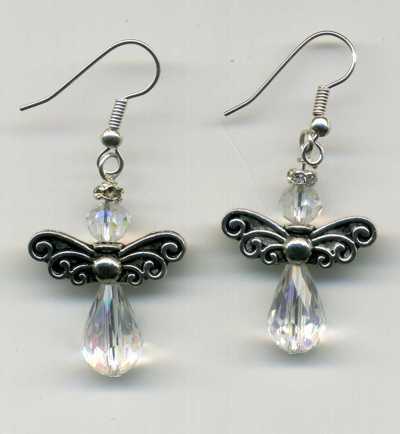 CRYSTAL ANGEL EARRINGS are fire polished AB crystal beads with pewter wings and a tiny little rhinestone halo with ear wires of silver plated surgical steel. The dangle is 1" from the top of the halo to the base. copyright 2011 - Ohnick Enterprises - All rights reserved.